100 N Cook in 2014. Courtesy Google Maps. Early in February the red house (100 N Cook), built in 1904, was torn down. After just a few days all that was left was some trash the demolition crew left strewn about on the sidewalk & parking strip and the concrete stairs that led from the sidewalk to the house. The blue house next door (32 N Cook) was built in 1905 and it will soon be demolished as well. Both lots/houses, along with several adjacent lots are now owned by “Cook Street Lofts” and it looks like a 5 story 104 unit apartment building will replace them. Shortly before demolition the houses were occupied so it’s really hard to imagine they could not have been saved. Could they have been used as an office or for a boutique shop instead of destroyed? Could they have been moved? Probably. It would have been great for the community to have the houses restored or re-purposed as a reminder of what used to be common in that part of the neighborhood. Now one sits in a landfill and the other will soon follow. 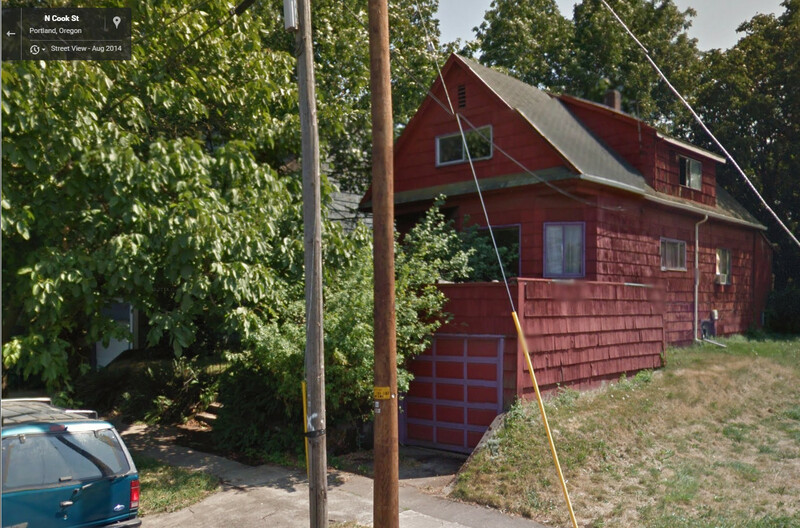 The sad history of tearing down houses in Albina is amazing. In 1928 there were 8 houses on the block. By 1950 there were still 7. But since then they have been disappearing quickly. Prior to these demolitions there had been only 3 and now in 2015 there will be only 1. Unfortunately the remaining house has been abandoned for many years and may not even be viable. 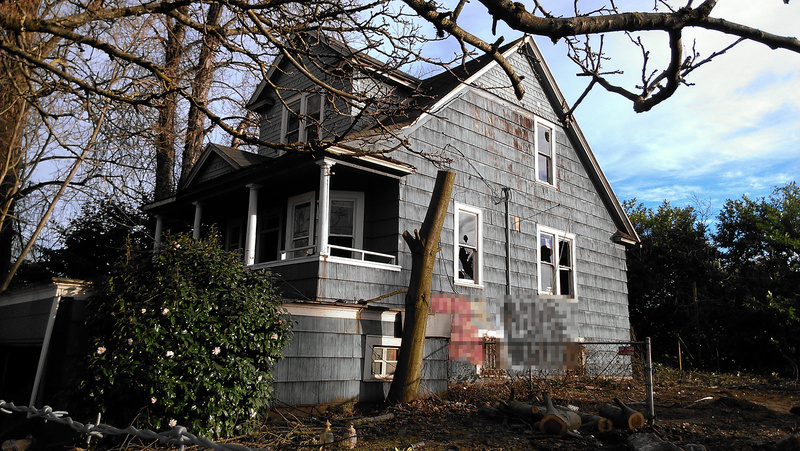 Sadly more houses in Eliot Neighborhood are slated to be demolished. Thank you for posting this. Not knowing it was going to happen, I walked by the other day and almost didn’t recognize where I was. Sad the new building will be so tall, it is starting to feel very unlike the quaint neighborhood we moved in to 6 years ago.